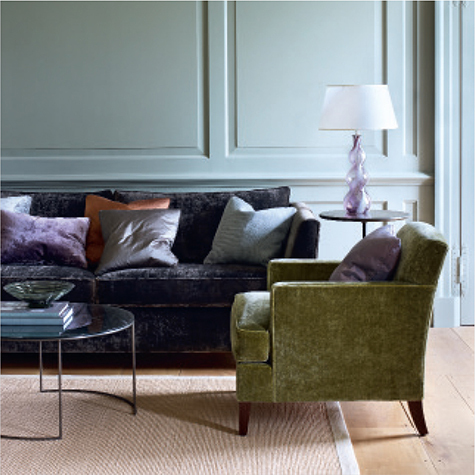 Kingcome Sofas has a reputation for producing exceptionally comfortable upholstered sofas and chairs of the highest quality in traditional and contemporary styles. The company was founded by RAF Hurricane and Spitfire pilot and Battle of Britain hero Brian Kingcome, alongside his wife Lesley, in 1971. Kingcome furniture is handmade in its Devon workshop, 15 miles from where the company was founded, which still employs many of its original craftsmen. Each piece is assembled around a kiln-dried hardwood frame, using timber from substainable harvested forests, to ensure dimensional stability and longevity. Upholstery fabrics are hand-cut with careful precision ensuring the highest finish. This exemplary upholstered furniture is the perfect complement to the group’s expertise in upholstery fabrics and interior decoration.